The Lake Ray Roberts Rotary Club supports the Pilot Point Middle School by providing Gift Cards each six weeks for the Pilot Point Middle School. This is a reward program recognizing students. A member of the Rotary Club does the drawing for the gift card. 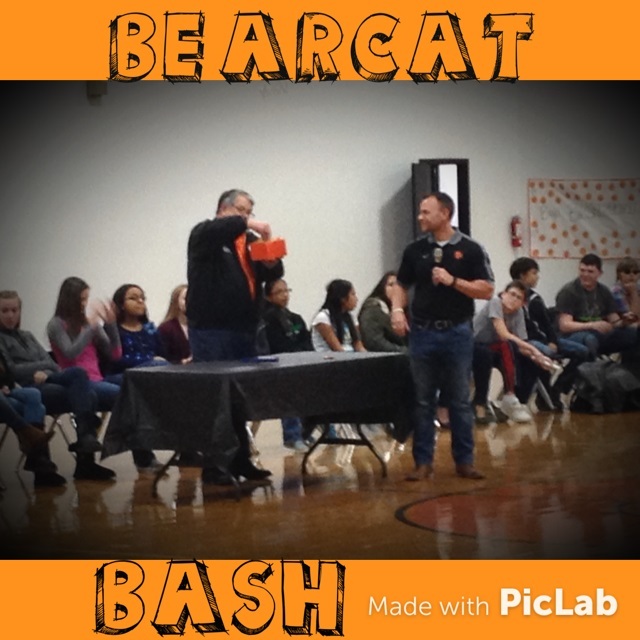 Today, our Immediate Past President, Ric Sadler, did the drawing at the Bearcat Bash. We are proud to support the Pilot Point Middle School.